Established in 1990, CompuTek Consulting, Inc. is an innovative and dynamic company specialized in providing world-class iSeries AS/400 consulting, as well as EDI consulting services, to companies of all sizes, operating in a variety of industries. By specializing exclusively in iSeries AS/400 consulting, and the various software packages operating on the iSeries AS/400 platform, since its inception, CompuTek Consulting has developed an unparalleled level of expertise, quality, and customer satisfaction, while remaining focused on cost-efficiency. CompuTek Consulting has kept a steadfast commitment to providing its clients with affordable iSeries AS/400 consulting, and EDI Consulting, while utilizing only the best American IT Professionals. Backed by an accomplished team of Information Technology Professionals, CompuTek Consulting excels in establishing and maintaining thriving partnerships with its clients in order to help their companies boost their competitive edge by getting the most out of their information systems. 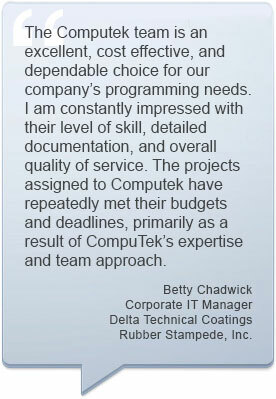 Why Choose CompuTek Consulting, Inc.? 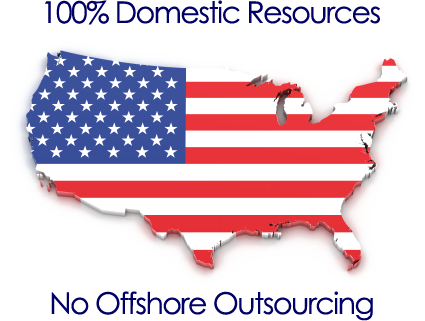 We eliminate the hassle of having to deal with multiple consulting firms or independent contractors. Because of our teams tremendous level of experience and expertise, you get the piece of mind that comes with not having to worry about issues of dependability, quality, communication, or commitment. Our team’s extensive iSeries AS/400 and EDI knowledge enables us to step in, roll up our sleeves, and start producing results immediately. We work tirelessly to produce results on time and under budget. Whether you are looking to completely outsource your iSeries AS/400 and/or EDI work, get a single project complete, or augment your current in-house staff by temporarily adding additional resources, we can help you. Every single member of our team will give every single member of your team the attention and respect that they need and deserve. You will never be made to feel as if you are anything less than our #1 priority. Since 1990, we have been providing our clients with the industry’s best iSeries AS/400 and EDI Consultants at extremely affordable rates. We are commited to helping our clients get the most bang for their buck out of their IT budget. CompuTek Consulting, Inc. specializes in providing world-class consulting services, which include, but are not limited to, iSeries AS/400 System Analysis, iSeries AS/400 Application Development, iSeries AS/400 Application Customization, iSeries AS/400 programming, iSeries AS/400 Support, iSeries AS/400 Testing, iSeries AS/400 Application Development and Customization, iSeries AS/400 System Upgrades, iSeries AS/400 System Maintenance, iSeries AS/400 System Implementation Integration and Migration, EDI Mapping, EDI Setup and Installation, EDI “As Needed” Support. © Copyright 2013 by CompuTek Consulting, Inc. All Rights Reserved.